ObesityWeek brings together diverse perspectives – scientists, clinicians, and public health professionals. We heard from all of them last week. “Sugar-sweetened beverage taxes work,” a number of public health folks told us. “For their intended purpose. To reduce unhealthy beverage consumption.” That last bit provides the important fine print. Taxes on SSBs are spreading all over the world. Will they have an effect on obesity? The truth is that we don’t know. We are still searching for obesity prevention strategies that work. “In my opinion, we should try anything that has promise of having an effect. You can’t expect any single intervention to have a measurable impact on obesity prevalence. But a combination of sound programs, working together, can make a difference.” This perspective, offered by a public health advocate, is something we’re hearing a lot lately. It makes perfect sense. Unfortunately, it’s also possible that a combination of sensible programs will have no more effect when added together than they do when considered in isolation. So far, we don’t have any encouraging examples of programs that are moving the needle. Mexico implemented an SSB tax along with a range of other measures at the beginning of 2014. Public health officials say it’s led to less consumption of the taxed beverages. 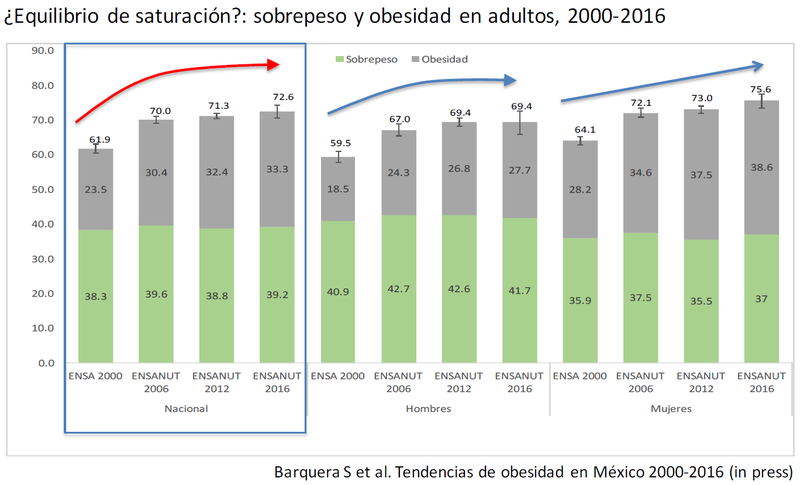 But despite these measures, obesity is still rising in Mexico. “To see an effect on obesity rates will take many years,” says Simón Barquera of Mexico’s public health institute. We’re now into the fifth year of implementing Mexico’s SSB tax and related measures. Yet the problem is still rising. By 2023, public health officials promised they would have saved 18,900 lives with those taxes. They’d better get busy. Hand-waving is no substitute for figuring out the real causes of an epidemic. And finding real solutions. Right now we hear a lot of zealotry and a lot of anger when we question that zealotry. “How dare you question the effectiveness of a beverage tax?” Ad hominem attacks follow. But zealotry brings fatigue. Chicago’s SSB tax fizzled after two months. California banned new SSB taxes. In this month’s election, Washington state voters passed a ban on any new SSB taxes. Advocates chalk it up to the evil soda industry. The public was duped. Maybe. Or maybe the advocates underestimate how difficult it will be to come up with real strategies for the real world that really work to reduce obesity. We vote for more objectivity and more curiosity. I’m glad SSBs are being consumed less in Mexico and perhaps, other places because of taxes. But, what’s more interesting is to concomitantly check what consumption of donuts, candy, cupcakes, sugary cereals, etc, even juices is doing. What will work to prevent obesity, IMO, is to improve education, access to care, AND long-term monitoring for children during the years when their bodies are developing. This is so they don’t either exacerbate, if genetically predisposed, or create, the pathophysiology of obesity. That is what will determine whether obesity is a disease that is put in check or worsens, along with the struggles and co-morbidities, as a child ages. A program that helps as many children as possible, perhaps through the schools or pediatricians’ well-children care practices may be effective to make a dent in the epidemic. I’m curious about that. And I emphasize again, the importance of monitoring for as long as it takes to assure a child is on his/her way to a less disease-burdened young and old adulthood. I remember reading a paper by Albert Stunkard about how short-changing people in monitoring undermines true success. That impressed me greatly. With children, we have an opportunity to monitor for years! I know it’s hard at a time when covering even initial treatments or interventions is questionable, let alone for continued sessions, but we have to make it happen. Evidently the environment drives obesity. Free will is a weak countermeasure. This is hard for the electorate and their leaders to accept. Can a benevolent dictator somewhere please step up and show us the systematic solution? Obesity continues to be a multifactor problem, no one solution. Personal responsibility, or lack of, is one of those factors. Definitely multiple factors at work. But I’ve seen nothing to suggest we’ve seen a rise in the prevalence of irresponsibility, Christie. Reading this while visiting Paris. As a public health nutrition program manager, I was initially alarmed at how little the daily french way of life and eating aligns with American beliefs about good nutrition. There is dessert at the school lunch for crying out loud, and then a croissant after school! And it is hard to find my go to lunch–a hearty and “healthy” salad with protein, grains, beans, and leafy things. My usual whole grain breads at home don’t compare to a nice hunk of chewy baguette. I have seen just one person doing exercise outdoors in just a few days. I have yet to find a gym. -little snack or fast food and what is available doesn’t compare in taste to what is a traditional gouter or “snack”[using that term loosely here as no one really snacks]. In America, almost every item in the grocery or corner store is a snack food. The gouter in France are small tasty morsels. Just enough to get you through to dinner. -All the walking suppresses my appetite [I think the smoking and coffee of the French also does the same 😉 ]. The city and neighborhoods make it easier to work, play, go to school without a car. It is also pleasant to walk around. -The tiny little apartments mean that no one wants to hang out inside all day. Our predilection for large homes (with giant kitchens to store a ton of food and eat all day) in communities that require an automobile to do anything means that not only are we more sedentary but we don’t have incentive to take a daily walk to run errands, pick up ingredients for the nights meal. We can just load up our car with a week or more of groceries and hunker down at home. -If I am hungry while walking around, I need to commit to sit down to eat at a restaurant. There is not much to eat or drink while on the move. Not to say that American style fast eateries don’t exist, but they aren’t ubiquitous. It is changing of course as the French marketplace is learning that cheap food can earn them big bucks. I was a little worried that I will come home with 5 extra pounds but if I don’t eat like an American while I am here, I will be good. The way of life and the environment here reinforces enjoyment of small plates of good food. It doesn’t really require “will power.” The environment shapes our appetite. How can America undo all the damage its food system as inflicted? I can’t imagine it will happen anytime soon. Too much is at stake for corporations and established ways of living in America. 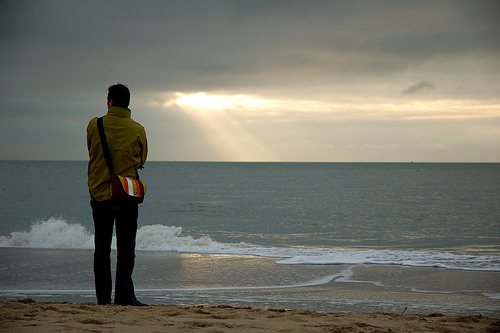 I live in San Francisco so living like a Parisian is possible (it is the French’s favorite American city)–but it would still take some effort and bandwidth that most people don’t have. At this point, I am pessimistic about the likelihood of reducing obesity in America. I used to judge efforts a medical interventions such a surgery but I really do now see it as an important part of prolonging people’s lives.